“…Last year, Brian Johnson (Bethel Music) and I started writing a song over text. Over the course of a month we threw lyrics and voice memos back and forth. The result of all of those text messages was this song, ‘Living Hope.’ I remember both of us feeling that something special had been given to us, and it’s become an anthem at both of the churches where we lead. The fact that this song has already found its way into other church communities before it’s even been released makes me so excited for what God has in store…” One of my favourite worship leaders and singer/songwriters of late, Phil Wickham has this uncanny ability to write gems, which on the surface may be very underrated, and could slip under the radar; but defying logic quickly rise to become anthems for the church and hits on the radio. Ever since hit chart topping single “Grace” and “After Your Heart”, Phil has just kept churning out hit after hit- accessible for the church yet lyrically sound and complex, and also not threatening nor condemning either. From explosive and vibrant hits such as “At Your Name (Yahweh, Yahweh)”, “Wonderful”, “My All In All”, “The Secret Place”, “I’ll Always Love You” and “This Is Amazing Grace”, to other inspiring melodies such as “Your Love Awakens Me”, “Safe”, “Beautiful”, “Glory”, “Heaven Fall Down”, “When My Heart Is Torn Asunder” and “This Love Will Last Forever” (did I name, along with “Grace” and “After Your Heart”, a potential greatest hits album? ); Phil has shown us that quality work and long lasting impressions can and often do result from persistent effort in one’s craft and the desires that God has put in our hearts. Enter in “Living Hope”, the latest single which drops on Good Friday (today in Australia and tomorrow in the U.S.) and THE only song you should listen to today- I reckon it’s one of the most ‘complete’ Easter (and in particular Good Friday) songs you’ll ever hear this year! Hymn like in nature and written with plenty of vivid imagery of the cross, this piano led ballad, which swells to an epic crescendo later on in the 5-minute majestic work of art; Phil and Brian Johnson of Bethel Music wrote this song over the past year, and the result is nothing short of remarkable. Ardently and fervently reiterating that it is only through Jesus that we can live truly free, and crying out to Jesus ‘…hallelujah, praise the One who set me free, hallelujah, death has lost its grip on me, You have broken every chain, there’s salvation in Your name, Jesus Christ, my living hope…’; Phil has created a future timeless classic sure to bring even the most hardened hearts closer to Christ, as he authentically deliver us a message of hope and biblical truth needed now more than ever. 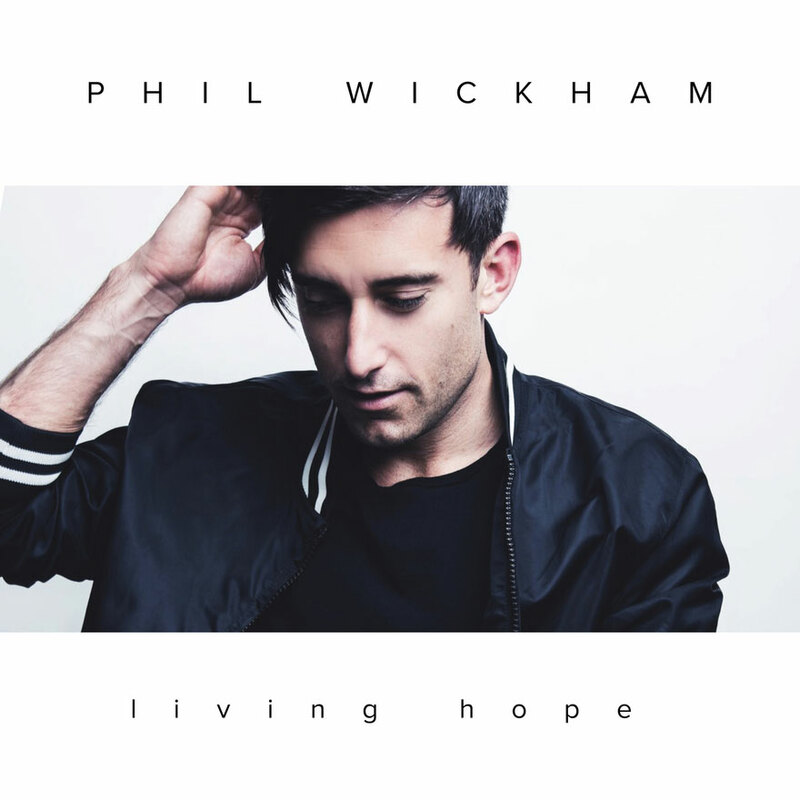 As Phil Wickham readies to release his as of yet untitled new studio album later on in 2018; “Living Hope” is a near-flawless effort from one of my most impacting worship songwriters I’ve ever heard. There’s no reason not to listen to this track, so what are you waiting for? Maybe listen to it once, twice, three times, maybe more, as you eagerly wait for the new album, which should be awesome in every way! And…you can also let us know how much Phil’s track has impacted your life later on as well, in the comments below! Amazing song by the one and only Phil Wickham. He has such a gifted voice and his lyrics and musical talents are incredible. This song should go to number 1 on the charts. Can’t stop singing it!!! Yeah, this song is pretty amazing! I have very high hopes for Phil’s new album- hopefully it’s releasing later on in 2018! Maybe Bethel Music will re-record “Living Hope” as well- after all Brian Johnson of Bethel Music co-wrote this song with Phil!